One of the main concerns we Americans should have is about the state of our criminal justice system. How a society deals with the issue of criminality is one of the ways that we all can judge its freedom from oppression. This country has been selling our “democracy” to the world for 8 decades now as an example of how a modern nation should operate. Throughout the “Cold War” there were innumerable comparisons made between American freedom and the “Police States” of communism. Last year when I was writing an article on “The Incarceration of Black Men in America” I was surprised to discover that the United States has the highest incarceration rate in the world. That we put people in prison at a significantly higher rate than any other country and that include Russia and China. The responsibility for charging criminals and prosecuting the cases against them fall to Prosecutors at all levels of government. The U.S. Attorneys for various States are among the most powerful of prosecutors, with the widest resources to investigate possible criminal activity. We also know that quite often these U.S. Attorney positions are valuable stepping stones for those with deep political ambitions. Rudolph Giuliani is probably the most famous of these today, but in the past Thomas E. Dewey parlayed it into Governorship of New York and then a failed run for the Presidency in 1948. In both those instances their reputations were built upon prosecuting high profile defendants. Until about two weeks ago the name of Carmen Ortiz, the U.S. Attorney for Massachusetts, was an unfamiliar name. The suicide of computer whiz Aaron Swartz, linked to her threatening him with a number of charges that could have led to 50 years in prison, has made headlines that brought her name to the forefront of our news cycle. Swartz’s suicide resulted in much outrage and even led to two widely commented upon blogs by Jonathan Turley our host” http://jonathanturley.org/2013/01/18/the-obama-administrations-inspector-javert-speaks-ortiz-issues-statement-in-swartz-case/ and: http://jonathanturley.org/2013/01/15/prosecutor-of-aaron-swartz-linked-to-another-suicide-of-defendant/ It even inspired my own guest blog: http://jonathanturley.org/2013/01/19/americas-broken-criminal-justice-system/ By all accounts Ms. Ortiz has strong political ambitions and managed to receive much favorable publicity in Massachusetts. I want to look at some of her cases that led her to prominence and the fact that their prosecution may have been more self-serving, rather than examples of protecting the people from the criminality amongst them. Russ Baker’s website that does excellent investigative reporting, http://whowhatwhy.com ran a story about Ms. Ortiz By Christian Stork on Jan 17, 2013, titled: “Carmen Ortiz’s Sordid Rap Sheet” My thanks to the author and his excellent column which I am using for background for this guest blog. My contention though, is not that Ms. Ortiz is the worst of her prosecutorial profession, nor even that she is an evil person. I believe that she has thrived in a prosecutorial culture that has self righteously used prosecution for personal political gain with an ability to self-justify their behavior in terms of the public good. She is unfortunately not the exception to the rule, but actually represents some normative prosecutorial behavior. This isn’t about “evil” people abusing the Law and their powers, but about people who are acting in consonance with the system they’ve joined and are negotiating that system in a timeworn manner. Too often in today’s insane political scene we ascribe malefaction to “good” or “evil”. As long as we use these emotion loaded terms we prevent ourselves from understanding the systemic problems that are at root and therefore handicap ourselves to dealing with the problems. “The details of the Swartz case are so suggestive of prosecutorial abuse that they have already led to widespread condemnation of Carmen Ortiz and (her cohort) Stephen Heymann. However, what’s missing from much of the expressed outrage is recognition that the “bullying” tactics employed by Ms. Ortiz are standard operating procedure for federal prosecutors when pursuing criminal cases.” http://whowhatwhy.com/2013/01/17/carmen-ortizs-sordid-rap-sheet/. As Mr. Stork puts it “bullying” tactics are indeed standard operating procedure in criminal prosecutions. This is not a “hidden” fact but one that is out in the open and in fact shown daily on many of our most popular TV crime shows. This “bullying” is actually almost always put in a positive light. Overcharging in a case to obtain a pleas bargain happens in more than 90% of all criminal cases. We’ve commonly seen what would be manslaughter cases, like Casey Anthony’s where there was no conclusive evidence of premeditation, charged as a Capital Crime. 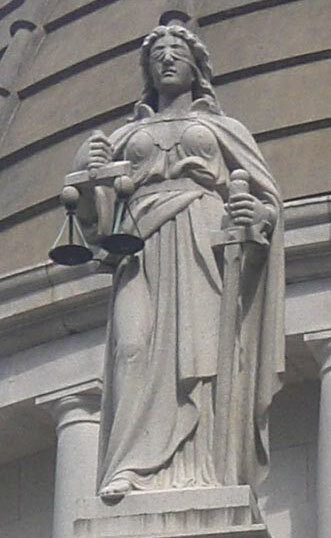 The prosecution frames this overcharging in their more famous cases with the kind of moral fervor that stirs up the public, who then become disappointed when the “plea” is made to a lesser charge and tend to blame our “lax” legal system for being unable to punish “evildoers” as harshly as they should be punished. With a population just under 30,000, the town of Tewksbury, Massachusetts, is hardly considered ground zero for federal drug trafficking crimes. Just off Route 38, the town’s only major thoroughfare, sits the modest Motel Caswell. With just six reviews on tripadvisor.com—one “Poor” and five “Terrible”—even defenders of the $57 per night operation admit its shabby digs: “The Motel Caswell isn’t the Ritz,” its lawyer told a federal courtroom in November 2012. But that didn’t stop the Drug Enforcement Administration (DEA) and Ms. Ortiz’s office from trying to seize its assets” In 2009, the 69-year-old owner, Russ Caswell, received a letter from the DOJ indicating the government was pursuing a civil forfeiture case against him with the intention of seizing his family’s motel—it was built in 1955 by Russ’s father—and the surrounding property. Ms. Ortiz’s office asserted that the motel had been the site of multiple crimes by its occupants over the years: 15 low-level drug offenses between 1994 and 2008 (out of an estimated 125,000 room rentals). Of those who stayed in the motel from 2001 to 2008, .05% were arrested for drug crimes on the property. Local and state officials in charge of those investigations never accused the Caswells of any wrongdoing. Perhaps I’m too obtuse to understand the fine points of how this seizure of assets results in the public good, due some obtuseness of which I’m unaware. In my admittedly laymen’s opinion the entire concept of “Civil Asset Forfeiture” is un-constitutional. Its’ use in this instance is a clear case of overreach by Ms. Ortiz office. Yet my knowledge of the human psyche is such that I guarantee that hooked up to a lie detector and justifying this forfeiture as a matter of public good, she would pass with flying colors. The is an example of the current prosecutorial culture, driven by ill thought out campaigns such as the “War on Crime”, the “War on Drugs” and the “War on Terrorism”. Some may disagree, but my gut instinct is that excesses such as these are driven by normal people operating in the vacuum of an irrational system driven by mythology, rather than reality. I have no idea whether or not these men are guilty of malfeasance and corruption. What I do know though is that the ten counts of Mail Fraud, with a possible sentence of 200 years are bogus. We have seen too many instances to delineate where “mail fraud” of this simple nature and tortured interpretation has been used to overcharge defendants in the service of getting plea bargains. Is this how we really want our criminal justice system to operate? “Enacted in 1970 to enable prosecutors to convict leaders of criminal organizations who order subordinates to commit crimes but who are never themselves at the crime scene, RICO statutes have most widely been applied to drug cartels, the Mafia, and terrorist organizations. The logic is simple: if a mob kingpin orders a hit on someone, he has a strong First Amendment case that he isn’t at fault for the murder. Under RICO, the government only needs to prove a relationship between murderer and kingpin within an ongoing criminal organization. Mr. O’Brien and his co-defendants are also under indictment for violating state campaign finance laws. But those are charges being brought by the Attorney General of Massachusetts, Martha Coakley, and are unrelated to the federal indictments issued by Ms. Ortiz’s office. Probably I am in the minority in believing that RICO Laws violate the spirit of our Constitution. They came about when there was perpetrated the great organized crime scare that originated from the raid on the Cosa Nostra’s meeting in Apalachin, NY in 1957, at a time when J. Edgar Hoover denied the existence of organized crime. http://en.wikipedia.org/wiki/Apalachin_Meeting After the arrests and prosecutions coming from that meeting and the testimony by Joe Valachi (Joe the Rat) at http://en.wikipedia.org/wiki/Joe_Valachi Senator McClellan’s Senate Committee on Organized Crime in 1962 there was publicity created public clamor for government to stomp out the danger of organized crime. Because this was sometimes difficult RICO laws were passed to facilitate these prosecutions and in the popularity of satisfying the public clamor, Constitutional Issues were cast to the side. I’m not a fan of organized crime, who can be, but I’m bemused why nobody has mentioned using RICO to deal with the fraud perpetrated by the “too big to fail” Investment Banks. Surely the seizure of their assets would seem appropriate in the light of what has become known about their operations? Now I would hasten to say that Mr. Mahanna is not exactly someone who could be described as a “solid citizen”. However, reading this case we can infer that the man was being prosecuted far more for his beliefs, than for his actual actions. This government, including the Administrations of Presidents G.W. Bush and Barack Obama, have used the horror we all felt from 9/11 to move this country far a field from the constitutional protections of our citizenry provided to us in that great document. While all three areas tasked with providing criminal justice, the LEO’s, the Prosecution and the Courts have failed in their duty to We the People and to the Constitution I believe that the most egregious actions have been done by prosecutors. While LEO’s arrest, the major arrests are performed within the framework given by the prosecutors. They have the final say as to who will be indicted with the crime and they are able to serve a liaison function in marshalling all the forces of government in their cause. Though no doubt many are quite dedicated to their jobs and to the Constitution, in many other instances their appointments are political and their actions in office can lead to higher and higher political achievements. This is a great temptation to set before any person. When you add in the tendency that all of us have to justify our own behavior, while finding “justification” for our actions, it can breed dangerous behavior. In these three cases I’ve presented I think that Ms. Ortiz bears responsibility for servicing her ego via playing the part of the “tough prosecutor”. We know she had higher political aims and still might achieve them. We must all recognize that our criminal justice system is indeed in need of repair. If we don’t recognize this truth, then how could we ever go about correcting the errors? To some extent, I actually hope Ortiz does appeal. Given the extreme facts of the case (which I discussed here and here), it’s likely that the First Circuit Court of Appeals will reach the same conclusion as the trial court did. And unlike a district court decision, a court of appeals decision is binding precedent that lower courts in that region of the country must follow. But I also feel for the property owners here, who have already endured a three-year legal battle over an asset forfeiture action that should never have gotten started in the first place. Even with excellent pro bono legal representation by the Institute for Justice, they have likely gone through a painful ordeal that should not be extended any longer. Silverglate argues that Ortiz’s office jumped the DA’s claim in order to “send a message.” It’s hard to see another explanation for it and, if it’s true, and against all possible odds, the whole sorry episode is even more disgraceful. Summary: The U.S. Sentencing Commission website has been hacked a second time. A code distributed by Anonymous “Operation Last Resort” turns ussc.gov into a game of Asteroids. The U.S. Sentencing Commission website has been hacked again and a code distributed by Anonymous “Operation Last Resort” turns ussc.gov into a playable video game.